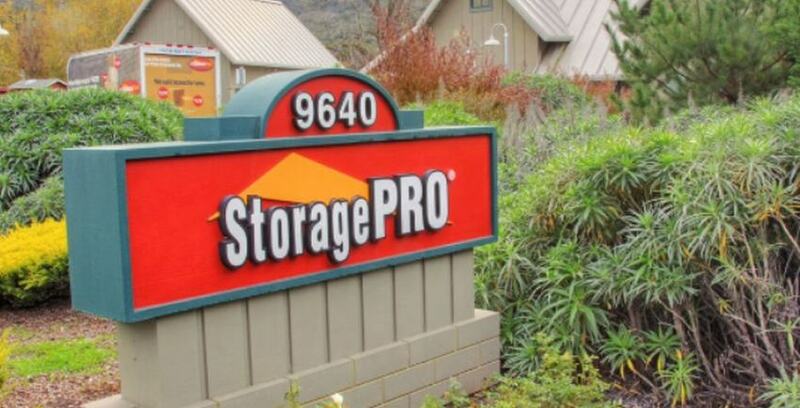 California’s devastating Valley Fire has prompted StoragePRO to not only provide first month’s free rent to any victims of the wildfire, but also to provide some very important safety tips if anyone is ever threatened by a wildfire. Here are some before, during, and after tips to always keep in mind. Post emergency phone numbers by every phone in your home. Identify and maintain an adequate water source outside your home. Set aside household items that can be used as fire tools: a rake, ax, hand saw or chain saw, bucket and shovel. You may need to fight small fires before emergency responders arrive. Regularly clean roofs and gutters. Plan and practice two ways out of your neighborhood in case your primary route is blocked. Select a place for family members to meet outside your neighborhood in case you cannot get home or need to evacuate. Identify someone who is out of the area to contact if local phone lines are not working. Be ready to leave at a moment’s notice. Always back your car into the garage or park it in an open space facing the direction of escape. Confine pets to one room so that you can find them if you need to evacuate quickly. Listen and watch for air quality reports and health warnings about smoke. Use the recycle or re-circulate mode on the air conditioner in your home or car. If you do not have air conditioning and it is too hot to stay inside with closed windows, seek shelter elsewhere. When smoke levels are high, do not use anything that burns and adds to indoor air pollution, such as candles, fireplaces and gas stoves. Do not vacuum because it stirs up particles that are already inside your home. If you have asthma or another lung disease, follow your health care provider’s advice and seek medical care if your symptoms worsen. If there is no power, check to make sure the main breaker is on. Fires may cause breakers to trip. If the breakers are on and power is still not present, contact the utility company. Inspect the roof immediately and extinguish any sparks or embers. Wildfires may have left burning embers that could reignite. For several hours afterward, recheck for smoke and sparks throughout the home, including the attic. The winds of wildfires can blow burning embers anywhere. Keep checking your home for embers that could cause fires. Take precautions while cleaning your property. You may be exposed to potential health risks from hazardous materials. Debris should be wetted down to minimize health impacts from breathing dust particles. Use a two-strap dust particulate mask with nose clip and coveralls for the best minimal protection. Wear leather gloves to protect hands from sharp objects while removing debris. Wear rubber gloves when working with outhouse remnants, plumbing fixtures, and sewer piping. They can contain high levels of bacteria. Hazardous materials such as kitchen and bathroom cleaning products, paint, batteries, contaminated fuel, and damaged fuel containers need to be properly handled to avoid risk. Check with local authorities for hazardous disposal assistance. If you have a propane tank system, contact a propane supplier. Turn off valves on the system, and leave valves closed until the supplier inspects your system. If you have a heating oil tank system, contact a heating oil supplier for an inspection of your system before using. Visually check the stability of the trees. Any tree that has been weakened by fire may be a hazard. Look for burns on the tree trunk. If the bark on the trunk has been burned off or scorched by very high temperatures completely around the circumference, the tree will not survive and should be considered unstable. Look for burnt roots by probing the ground with a rod around the base of the tree and several feet away from the base. If the roots have been burned, you should consider this tree very unstable. Obtain information from local authorities about defensible space requirements. Clear 30 feet of space around your home of vegetation. Store firewood at least 30 feet away from your home. Clear debris off the roof, out of the gutters and away from air conditioning units. Plant fire-resistant shrubs and trees. Hardwood trees, for example, are less flammable than pine, evergreen, eucalyptus or fir trees. Use vegetation that is resistant to fire, and is found naturally in the area. Do not import vegetation. Equip chimneys and stovepipes with a spark arrester that meets the requirements of NFPA 211, a specific standard for chimney fire safety. Install 1/2-inch mesh screen beneath porches, decks, floor areas and the home itself. Also, screen openings to your floors, roof and attic. Select and install fire-resistant roofing, siding and other building materials. Install or develop an adequate outside water source. If your community has experienced a disaster, register on the American Red Cross Safe and Well website to let your family and friends know you are safe. You may also call 1-866-GET-INFO to register yourself and your family. Thank you Red Cross Wildfire Preparedness site for this information (http://www.redcross.org/prepare/disaster/wildfire).